Atlantic Counselling Services • Counselling and Guidance Services for the Avalon Peninsula and surrounding areas. have deteriorated because of addiction and/or stress related issues. Deep thought has been given to every aspect of designing Atlantic Counselling Services in order to create a safe and welcoming environment. A person is assisted with evaluating the challenges they are facing in the light of the new hope that the future can bring. This begins with the name and logo. The name, Atlantic represents the Atlantic Ocean with its calm, rough and angry waters - an important part of our heritage. The highs and lows of the waves of the ocean can be seen to represent the highs and lows in life. The impact of these waves on individuals, families and society are even more intense when they are fueled by addictions and/or mental health issues. As the ocean has the ability to change from rough seas to calm waters so too can people restore calm in their lives (e.g., eliminating/controlling unhealthy dependencies; seeking support; overcoming stigma ). These positive changes can make a profound difference in the lives of men, women and children. The lighthouse, a familiar and comforting sight to Newfoundlanders, has always been a beacon of hope for those embarking upon stormy seas where there is little or no visibility. This also can be connected to how substance abuse can consume and control lives resulting in destructive consequences. However, more importantly, lighthouses signify how people, their families and resources (such as counselling) can light the way and help restore calm and control. It is an interesting and well-known fact that most lighthouses are unique and different from one another. This also speaks to the uniqueness and authenticity of each person. 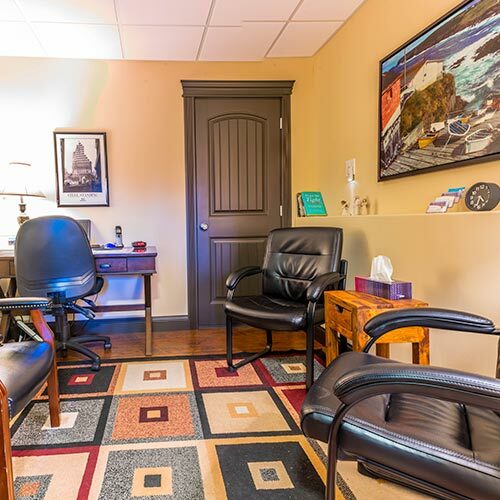 May your experience with Atlantic Counselling be a fulfilling one whereby you feel connected and anchored to what it is you need to do to reach your therapy goals. We are all sailing out on a voyage of discovery, guided each by a private chart, of which there is no duplicate. The world is all gates, all opportunities.